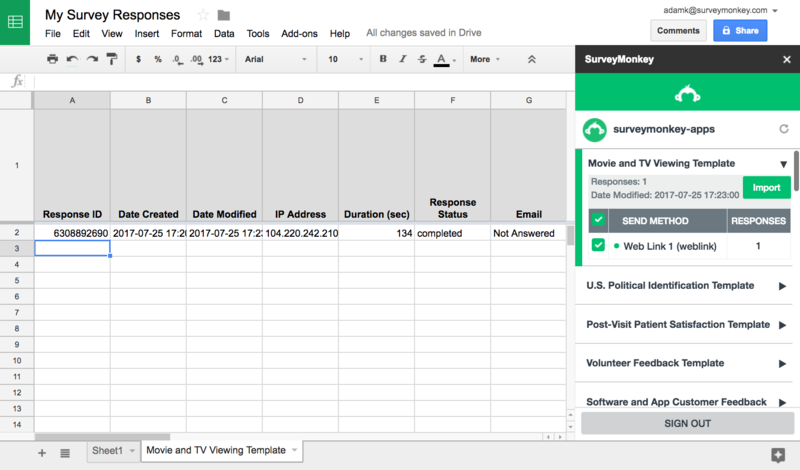 Port your survey response data into Google Sheets. 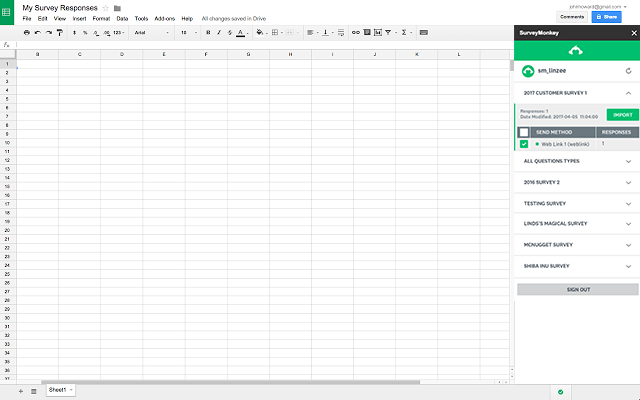 Sort, filter and analyze your data, then send it over to your team to review. This integration takes your SurveyMonkey data and sends it to Google. Hit the button at the top of this page, which will send you over to Google. Add the add-on by hitting the install button at the top right (you’ll need to log in to both your SurveyMonkey and Google accounts). 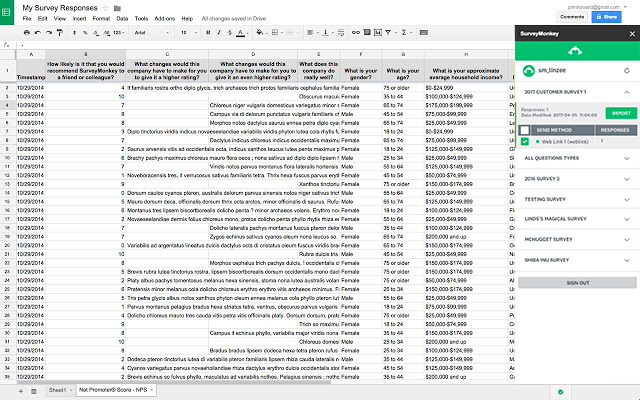 After connecting your accounts, you can select a survey and collector of your choice to import into your sheet, all from within Google Sheets.